We are happy to introduce the first issue of the seventh volume of the Social Education journal for the year 2019. As always, the editors welcomed all topics from the field of social education and related social sciences. A large number of papers were submitted for publication in this issue. The editors are very pleased with the interest of Czech and international authors and vow to keep the level of quality of the published papers high. 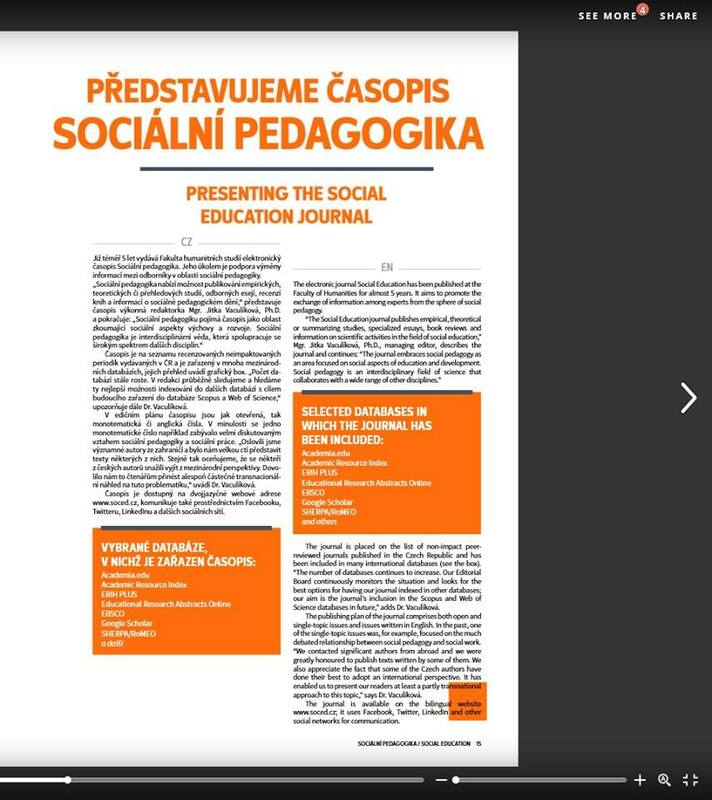 Choosing which papers to include in this issue was a very difficult task, which eventually culminated in the publication of three most remarkable studies, reviews, interview, information and section introduced Social Education in Slovakia. We wish to thank all the editorial board members, authors and reviewers for their hard work that brought this issue to reality! We would like to introduce you the second issue of this year 2018! 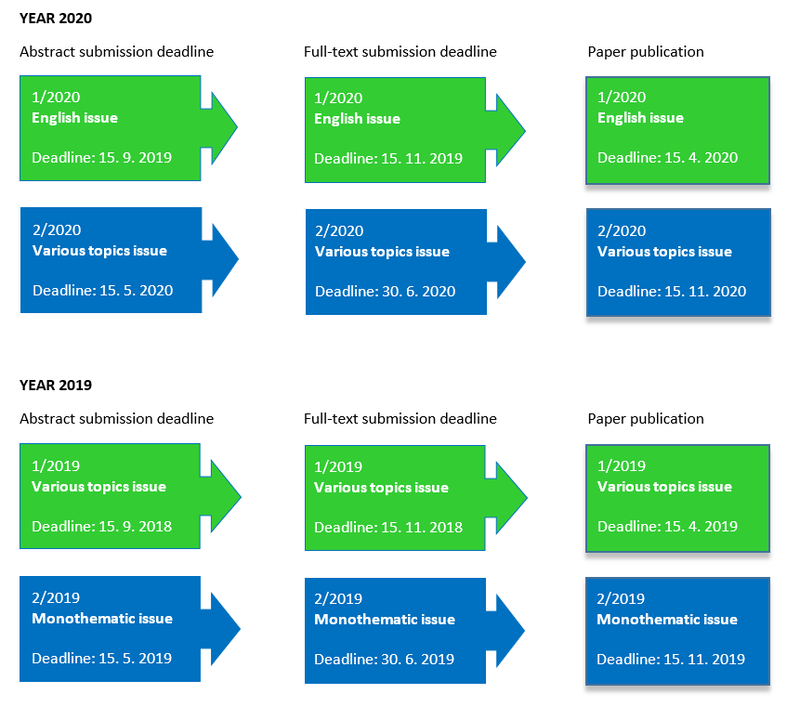 Publishing plan for 2019-2020 is now published. 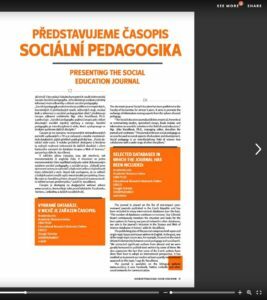 Sociální pedagogika | Social Education journal was introduced in the Tomas Bata University journal – Universalia Spring 2018. Thank you very much for the opportunity to present our mission and the vision of the journal. The Spring 2018 issue is available HERE. phone line will be temporarily out of service from 15 to 19 January 2018. If needed, please email us. We would like to introduce you the second issue of this year 2017! Abstract and full-text submission deadline for volume 6 / issue 1 (Publication: April 15, 2018) is extended to November 30, 2017. Sociální pedagogika | Social Education journal was a part of the Ninth SELF Biennial International Conference in Melbourne, Australia. Sociální pedagogika | Social Education journal was a part of the International Conference on New Horizons in Education INTE 2017 in Berlin, Germany.